Traders are great at disagreeing. They disagree on everything from trading strategies to ways of measuring profitability. But there’s one thing that all successful traders agree on, and that is maintaining a trading journal that records your trades. You might be a pen and paper person. But as you accumulate trade data, it becomes unfeasible to analyze them on paper. You need the help of a computer. Hence, a trading journal software is mandatory. Regardless of your trading configuration, you will always face a trade-off between convenience and ease of customization. Below, I’ve organized the top trading journal software into three sections. Specialized software packages that are well-suited for your trading needs are ideal. You can import your data and start analyzing them immediately. You will also find it easy to record new trades. However, you will find them inflexible once your needs change. All the programs here offer a free plan or trial. Be sure to test them before signing up. TradeBench helps you calculate your position size and manage your risk. It comes with a dashboard and charts to help you visualize your progress. If you’re looking for a basic no-frills solution, check out TradeBench. It’s free for anyone who joins their mailing list. More details here. This paid software has a bulk import function that works with dozens of brokers (full list here). It is ideal for anyone that uses their supported brokers and want to avoid manual data entry. It also has a useful tagging function. You can create your tagging system so that you can filter your trades by any attributes. Options traders will also find Trading Diary Pro helpful as it recognizes various options strategy. Trading Diary Pro costs $149. Note that there’s an upgrade fee of $49 per year after the first year. It offers a free 30-day trial. Click here to learn more. 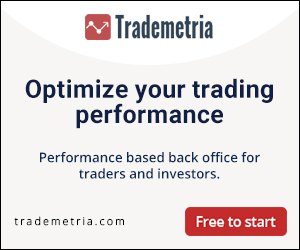 Like Trading Diary Pro, Trademetria offers an import function for selected brokers. On top of that, it has all the essential trade journal functions like metrics dashboard and filtering. It also works for day traders. Available for a recurring monthly fee. It also uses proprietary algorithms that make suggestions for improving your trading performance. TraderSync is designed for stock traders. It summarizes your trade records into beautiful dashboards, complete with recommendations on how to trade better. There is a free option, but only the paid plans give you smart feedback on your trading performance. 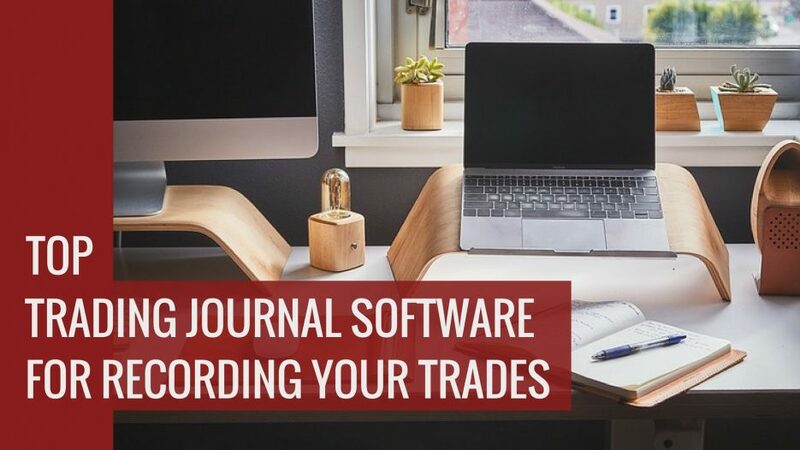 Compared to the trading journal programs, you need to spend more time setting up general purpose software (spreadsheet and note-taking software) to use them as trading journals. The good news is, once you are proficient, there’s no limit on what you can record and analyze with them. Microsoft Excel is a powerful spreadsheet that has more functions than you’ll need for any trading journal. You have complete control over what fields to include, their formatting, and how to analyze the trade records. This autonomy might be overwhelming, especially for new traders who are unfamiliar with spreadsheet programs. But for traders who are proficient with spreadsheet manipulation, I strongly encourage you to design a trading journal with Excel. There are free alternatives like Google Sheets and Calc (OpenOffice). They will work for your trading journal as well, but you’ll find it easier to find resources helping you with Microsoft Excel. To make the most out of a spreadsheet trading journal, align it with your trading approach. 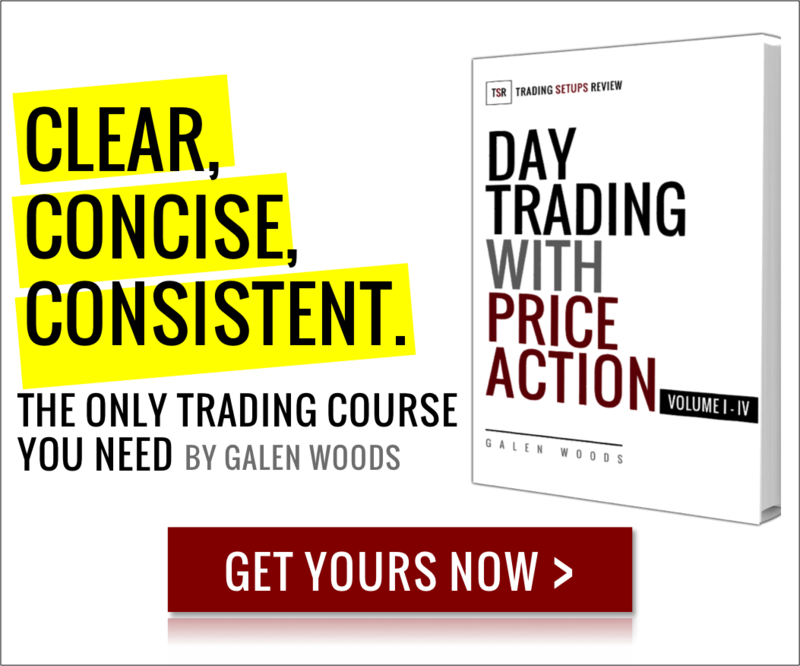 For instance, in my price action course, the included Excel Toolkit has sections that correspond to different parts of the course trading framework. Evernote is a robust note-taking software. It excels at connecting pieces of information in a friendly manner. If you’ve given serious thought to journalling your trades, you’ll realize that each trade has many moving parts. For each trade, you have your analysis, your chart screenshot, your trading results, trade confirmations, emotions journal, etc. But no worries, Evernote will help you keep track of them. Want to see how it works as a trading journal? Hugh Kimura over at Trading Heroes shows you how he uses Evernote as his forex trading journal. Screen recording software is useful for intraday traders. They record your trading sessions and allow you to replay them for post-trade analysis. They cannot replace a trading journal as you still need your trade records in a database (table) for performance analysis. But for intraday traders, screen recording can form a valuable part of your trading journal. My Screen Recorder – A lightweight Windows software that trader Mike Bellafiore uses to record his trading screens. Camstudio – For those looking for a bare-bones screen recording software, look no further. Check Camstudio – a free software released under the GPL. Video Trade Recorder For MetaTrader – If MetaTrader (MT4 or MT5) is your only charting and trading platform, this is a great option. It runs with MetaTrader in the background and can record multiple chart screens (including those minimized). A low price tag of $35. The same company created Camtasia and SnagIt, but their features overlap. This is a source of confusion. But based on TechSmith’s clarification on this page, SnagIt is suitable for documenting your trading sessions. But if you are recording for an audience and require a more polished product, you should go for Camtasia. Want to share your screen recordings with your trading buddies? Camtasia and SnagIt users can check out Screencast – an online service for sharing your screen recordings seamlessly. Check if your charting platform has an integrated trade journal. It could just be the seamless solution you need. NinjaTrader has a trade performance report that provides summary statistics and a field for trade journalling. Forex Tester 3 (only for simulation trading) has similar functions. Show me a trader with good records and I’ll show you a good trader. I just wanted to suggest TradeInsights.net for an all free trading journal option! Hi Michael, thank you for your suggestion. Free is great! Please feel free to share your experience with it here.